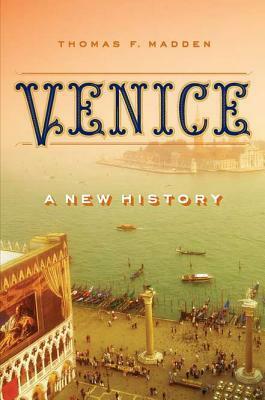 Thomas Madden's majestic, sprawling history of Venice is the first full portrait of the city in English in almost thirty years. Using long-buried archival material and a wealth of newly translated documents, Madden weaves a spellbinding story of a place and its people, tracing an arc from the city's humble origins as a lagoon refuge to its apex as a vast maritime empire and Renaissance epicenter to its rebirth as a modern tourist hub. Madden explores all aspects of Venice's breathtaking achievements: the construction of its unparalleled navy, its role as an economic powerhouse and birthplace of capitalism, its popularization of opera, the stunning architecture of its watery environs, and more. He sets these in the context of the rise and fall of the Byzantine Empire, the endless waves of Crusades to the Holy Land, and the awesome power of Turkish sultans. And perhaps most critically, Madden corrects the stereotype of Shakespeare's money-lending Shylock that has distorted the Venetian character, uncovering instead a much more complex and fascinating story, peopled by men and women whose ingenuity and deep faith profoundly altered the course of civilization. Thomas F. Madden is a professor of history and the director of the Center for Medieval and Renaissance Studies at Saint Louis University in Missouri.He is the author of "The New Concise History of the Crusades, Enrico Dandolo and the Rise of Venice, The Fourth Crusade, "andEmpires of Trust. In 2012 he was named a Fellow of the John Simon Guggenheim Memorial Foundation."